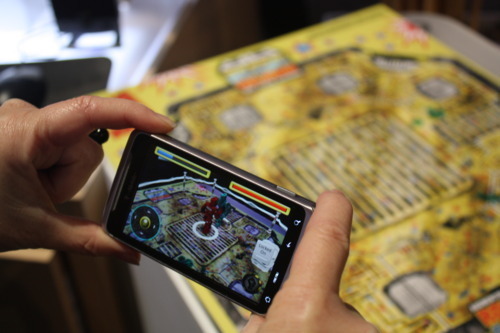 Qualcomm and Mattel are showing off a nifty augmented-reality game for Android…Rock ‘Em Sock ‘Em. Alls you do is lay out the mat, point your phone’s camera at it, and the boxers duke it out on your screen. The game’s graphics look great, and it’s a “pre-commercial” demo so they aren’t sharing pricing info yet.